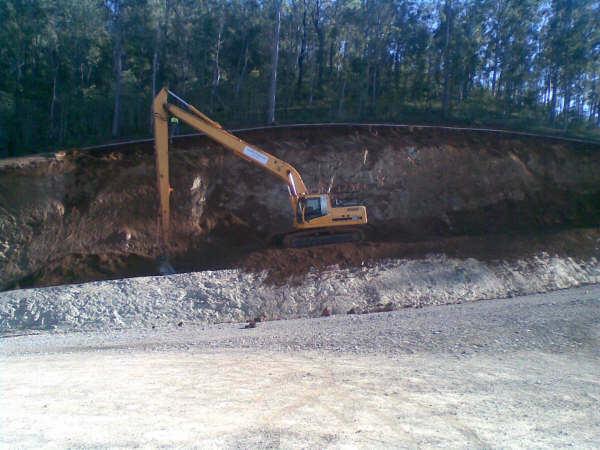 At Caldme, our team provides professional earthmoving and bulk haulage services. Using the latest techniques and dependable machinery, our earthworks extend to challenging sites that few other companies strive to tackle. Each member of our team has at least 15 years of experience, from dry terrain through to wet sites, they can confidently navigate your project while leaving minimal impact on the environment. Throughout the year, we professionally service each piece of machinery we use for excavation and demolition. So it’s possible for us to equip you with the right excavators to make your earthmoving project possible. As detailed excavation specialists, we know how to approach difficult environments without having a negative impact on your project. Do you need a reliable and strong foundation for your next building? The team here at Caldme works with both private and government organisations. Using machines that range between 4.5 and 85 tonnes in weight, we can find the right level of excavation for your construction efforts. No matter the volume of earth you need moved, we’ll help you achieve your next earthworks project on sites ranging from small domestic gardens through to huge commercial areas. Alongside our dry earthworks projects, we specialise in lake excavation. 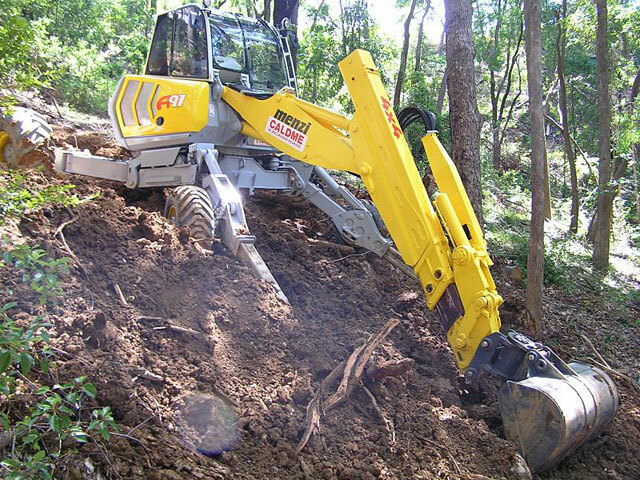 Using machines such as spider excavators, we can navigate delicate areas of land in an intricate manner, keeping you and the surrounding environment safe. With our longstanding track record of large construction projects, we’ll also make sure the earth we excavate is moved to an appropriate location for storage or disposal. With safe and responsible disposable methods, you don’t have to worry about the impact you’re having on the Earth during the site cuts process. At Caldme, we operate a family-run business. Our director Andy oversees the efforts of experts who will remain by your side from the moment you start planning to the completion phase of your project. The majority of our team members have at least 15 years of experience behind them in demolition and excavation, which means they’ll ensure you have a professional encounter each time you use us. As firm believers in providing excellent customer service, we can tackle projects that are both large and small, including detail excavation. Additionally, we know that both time and end-of-project results have a significant impact on your finances. Because of this, we strive to strike the right balance between the two. We aim to expedite our efforts, without compromising on quality. Diversity lies at the heart of our success, and we want it to become a part of yours too. From our long reach excavators through to heavy haulage machinery for excavation and demolition, we harness the power of the latest technologies to give you what you want. At Caldme, we serve the Brisbane, Sydney and Melbourne regions including Cairns, Mackay, Port Macquarie and the Central Coast. In addition to providing the detail excavation machinery for your earthworks efforts, we make the logistics easier. Our machines are road transportable, allowing you to move between sites with ease if necessary. Would you like to learn more about how we can assist with your project? Our team of friendly experts is waiting to hear from you! Just gather all the relevant details together and get in touch.